Create This Book is fresher than ever! This revised version has a new look with all the same inspiring prompts PLUS a bonus "Tips and Tricks" page add-on.This is the ultimate outlet for creativity. Includes 235 pages of unique and inspiring prompts to get you in the creative zone! Whether you are trying to get past an artist's block, wanting to become more creative, or just looking to have some fun, you will love this interactive journal!Want to learn more? 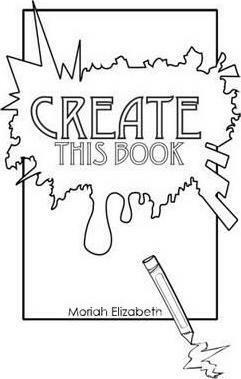 Check out "Create This Book" on Youtube! You can watch Moriah Elizabeth's "Create This Book" Series! Great for inspiration and guidance on your creative journey!Go to MoriahElizabeth.com for more information.